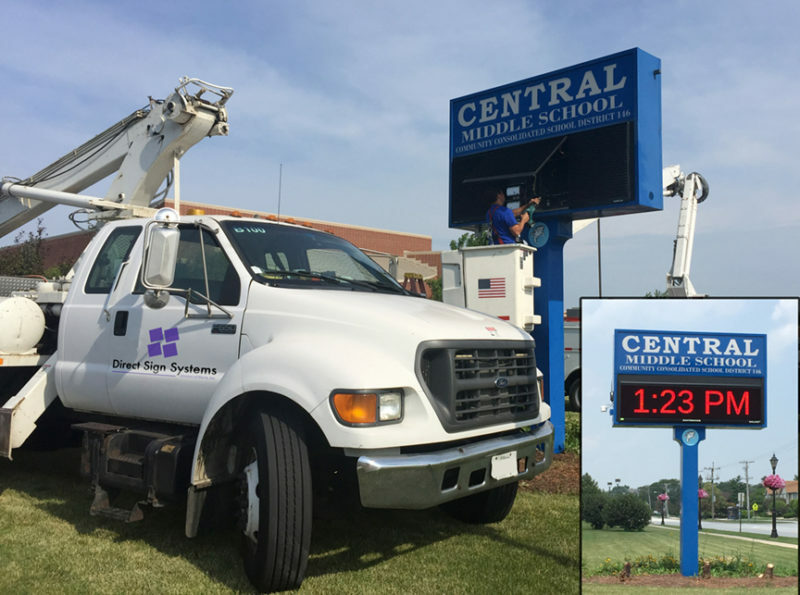 Recently, Direct Sign Systems refurbished the Central Middle School marquee in Tinley Park Illinois. 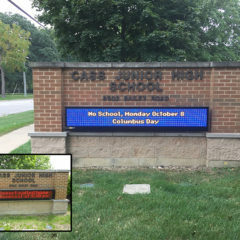 By changing out the electronics we were able to take an existing sign and modernize it from florescent to LED at the top. 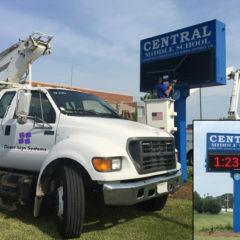 On the bottom portion of the sign, we removed the existing, outdated EMC with current technology. Making the sign up to date and appearing brand new.